"It may get better than this, but I can't say. For the price, this is outstanding. 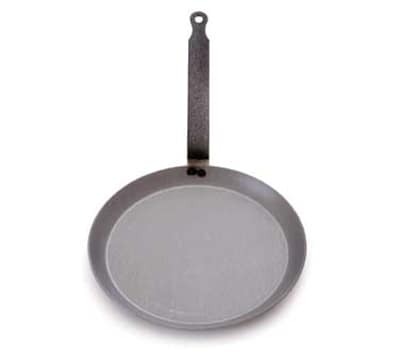 This is very sturdy carbon steel pan that does what it's suppos..."
"It may get better than this, but I can't say. For the price, this is outstanding. This is very sturdy carbon steel pan that does what it's supposed to. I don't want a thicker steel than this. It finished easy enough, and has been improving as I use it. It's not for wet stuff, since the lip on it is so low- it's ideal for crepes, pancakes, etc, as well as searing fish and meat, and finishing in the oven."